Dutch ovens are versatile pots used for braising, frying, roasting and baking in both kitchens and the great outdoors. Given their range of uses and durability, people usually hang onto Dutch ovens for years, if not decades. So it's important to choose the right one. The ReviewLab team has performed extensive research to help you make an informed decision. Here you’ll find our recommendations for enameled cast iron Dutch ovens, stainless steel Dutch ovens and aluminum Dutch ovens. And check out our buying guide below for more information about what you should consider before purchasing a Dutch oven. Read more about our methodology. 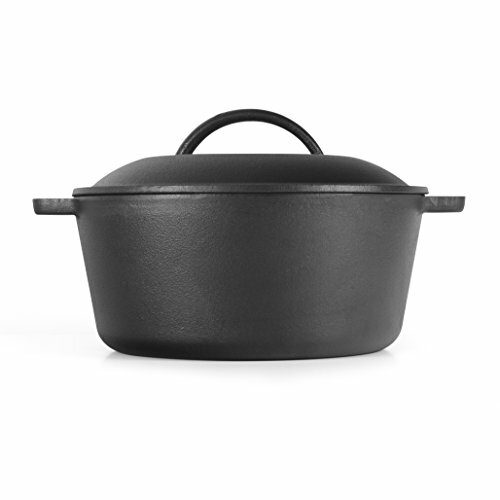 The high-quality Bruntmor Cast Iron Dutch oven comes pre-seasoned, so it’s ready to use out of the box. The domed lid gives you more room for roasts and can be used as a skillet. This Bruntmor model is a great choice for a durable, versatile Dutch oven. The Camp Chef Deluxe Dutch Oven can be used not only in the kitchen, but extra features make this a great camping pot as well. And the durable cast iron will give you a lifetime of delicious meats, stews, breads and more, making this a great choice for a versatile Dutch oven. 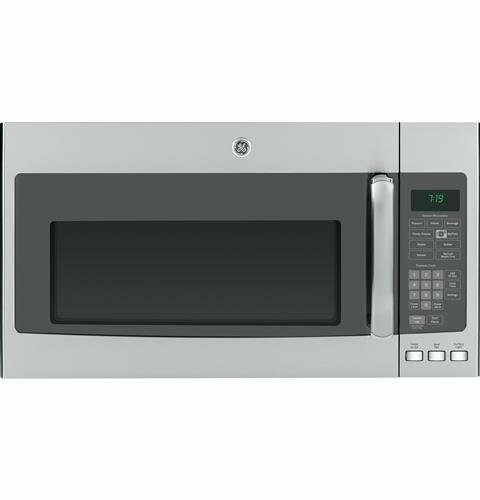 The Westinghouse WFL545 offers some great features for the budget-minded shopper. This Dutch oven comes pre-seasoned and has large, integrated handles. The Cuisinart 6445-22 Dutch Oven is an excellent choice if you’re looking for a Dutch oven at a reasonable price. This model, featuring hard anodized aluminum, is lightweight and distributes heat quickly and evenly. The Bruntmor Enameled Cast Iron Dutch Oven has a large 6.5 quart capacity for roasting, braising, stewing and baking a wide variety of foods. The self-basting lid keeps your foods moist and flavors locked in. And it's easy to clean. The Calphalon Stainless Steel Dutch Oven has a large eight-quart capacity for cooking a variety of your favorite foods in the oven or on the stovetop. The tempered glass lid allows you to keep an eye on foods and is oven safe. These features and more make this Calphalon model a great choice for a stainless steel Dutch oven. 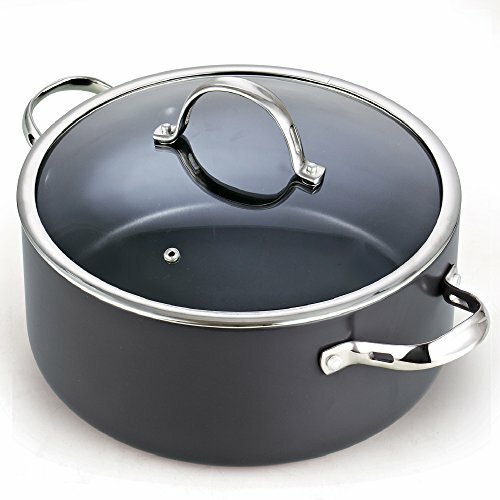 The Cooks Standard Hard Anodized Dutch Oven is large enough to cook roasts, whole chickens, beans, bread and more. The hard anodized finish creates a non-stick, scratch-resistant surface. Other features, such as the easy-to-use lightweight, make this Cooks Standard model a great choice for an aluminum Dutch oven. First, you should consider whether you want a cast iron, enameled cast iron, stainless steel or aluminum Dutch oven. Cast iron and enameled cast iron pots heat and cool down slowly, so they maintain their heat, especially beneficial for long cooking times. Cast iron can be used in the kitchen or for cooking over coals when you’re camping. Cast iron must be seasoned initially, and then after every use. It shouldn’t be washed with soap. If properly maintained, these Dutch ovens can last a lifetime. Enameled cast iron is also durable, but on less well-made models, the coating can chip. Enameled cast iron does not need to be seasoned and can be washed with soap and water. Stainless steel Dutch ovens are durable and don’t need to be seasoned since they won’t rust. Stainless steel maintains heat well for longer cook times, though not at the same level as cast iron. These pots aren’t as durable as cast iron, but they last longer than aluminum. Aluminum Dutch ovens heat up quickly since aluminum is a good conductor of heat. But this means they also lose heat more quickly when removed from the heat source. If you choose an aluminum Dutch oven, be sure it’s anodized, otherwise acids and other foods can ruin the pot. You should consider the weight of the different types of Dutch ovens. Cast iron and enameled cast iron are heavy, weighing from 11 to 32 pounds, depending on the capacity of the pot. Stainless steel and aluminum Dutch ovens are much lighter, generally weighing approximately six pounds. Dutch ovens come in different sizes, typically ranging from five quarts to 12 quarts, so you should consider what you’ll be cooking in your Dutch oven: small roasts, stews, beans, casseroles (5 qt. ), whole chickens (8-10 qt. ), or large roasts (12 qt.). Most sizes are good for baking bread. You should make sure the handles on the sides and the lid of the Dutch oven are large enough to grab with pot holders or oven mitts. Also, if the lid is glass, check that it withstands high temperatures if you plan to use it in your oven. Cast iron and aluminum Dutch ovens are typically the least expensive, but you can find all types of Dutch ovens, including enameled cast iron and stainless steel for $20 to $40. However, enameled cast iron Dutch ovens can run as high as $350 and stainless steel up to $100. Pricing also depends on size and manufacturer. The Bruntmor Cast Iron Dutch Oven includes extras that make this a great choice for braising, roasting, frying and baking all your favorite foods. Bruntmor has eliminated an extra job for you by pre-seasoning the cast iron. And the lid adds to the Dutch oven’s versatility by doubling as a skillet. The capacity of this Dutch oven is five quarts, but the domed feature of the lid provides extra room for whole chickens and roasts. For cooking in your oven or on top of the stove, you’ll see why this Bruntmor model is our top pick for Dutch ovens. Pre-seasoned durable cast iron. The Bruntmor Dutch Oven is made of durable cast iron that can last a lifetime. And the Dutch oven comes pre-seasoned, so it’s ready for use right out of the box. Versatile with extra capacity. The lid can also be used as a skillet. 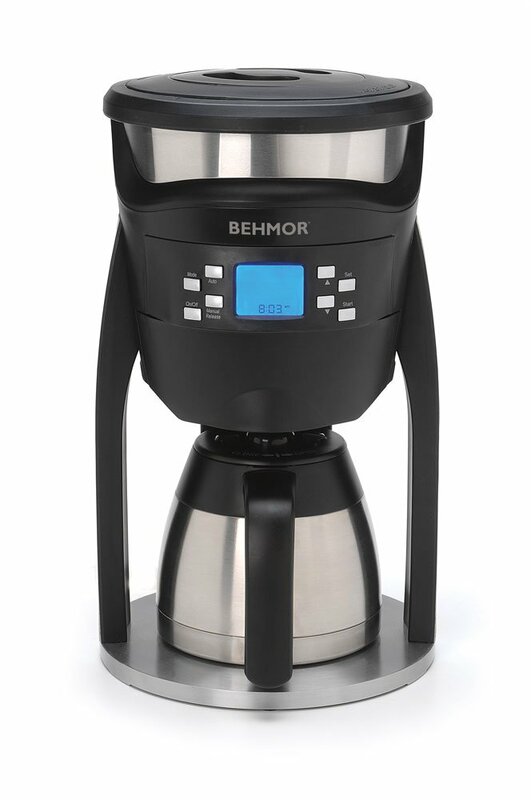 And the domed design of the lid provides extra room beyond the five-quart capacity for small roasts or chickens. This Dutch oven can be used in the oven, on the stove, in a smoker and over a campfire. Many users comment that they love its versatility. Handles for safety. Both the base and the lid of the Bruntmor Dutch Oven have integrated side handles for safe handling from oven to stovetop to table. Weight. The weight of this Bruntmor Dutch oven is 14 pounds. Additional seasoning required. This cast iron Dutch oven should be seasoned after every use to prevent rusting. The Camp Chef Deluxe Dutch Oven is a versatile pot that can be used in your kitchen or over your campfire. Extra features include a wire handle to hang the pot on a tripod over a fire, a notch in the pot to check temperature without removing the lid and a special tool to lift the lid. Whether you use this Dutch oven in your kitchen or at your campsite, the Camp Chef Deluxe Dutch Oven is another top pick for cooking soups and beans, roasting and braising meats or baking bread. Pre-seasoned durable cast iron. The Camp Chef Deluxe Dutch Oven is pre-seasoned and ready for immediate use. Made with cast iron, this Dutch oven is durable and can last a lifetime. Use at home or outdoors. This Camp Chef Dutch oven can be used at home and for camping. The lid doubles as a skillet, and it has a lip around the top so you can pile on coals either from your barbecue or from a campfire. Or use the wire handle to hang the pot on a tripod above the campfire coals. Many users comment that they use this Dutch oven often for camping, and that the wire handle is very strong. Capacity. Typically, a 10” diameter Dutch oven holds only four quarts, but this Camp Chef model holds six quarts: five in the pot plus an additional quart in the lid. Safety. The Camp Chef Deluxe Dutch Oven has a strong wire handle for easy, safe lifting. And a lift tool is included with your purchase for removing the oven from the coals of a campfire. The pot is designed with a notch so you can check the content’s temperature without removing lid. Heavy. 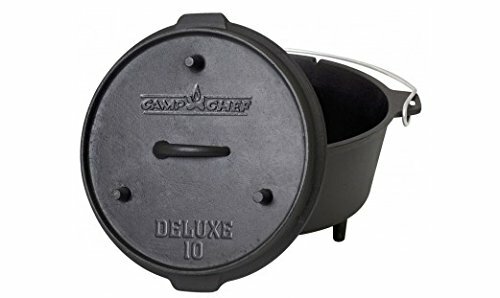 The weight of the Camp Chef Deluxe Dutch Oven is 17 pounds. Season after each use. Though this Dutch oven comes pre-seasoned, it should be seasoned after every use to prevent rusting. The Westinghouse WFL545 Dutch Oven is a great low-cost choice that can be used in the kitchen, on the barbecue or at your campsite. 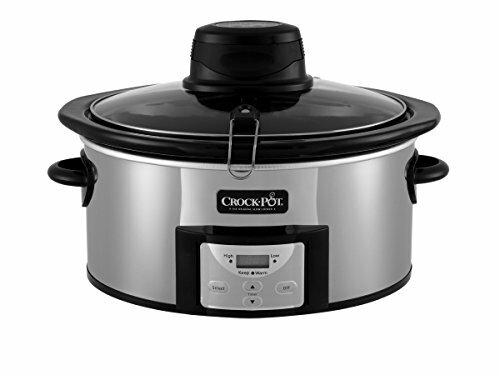 It has a five-quart capacity, large enough to cook small roasts or chicken, stews, casseroles and bread. This Dutch oven is pre-seasoned, so you can use it right out of the box. The large, integrated handles are easy to grip with potholders or oven mitts, ensuring safe transfer from the oven, to the stovetop or to the table for a dramatic presentation. Pre-seasoned durable cast iron. The Westinghouse WFL545 Dutch Oven is made of cast iron, a durable material that can last a lifetime. Cast iron distributes heat evenly and maintains the heat when taken from the heat source. This Dutch oven comes pre-seasoned, which protects it against rust and creates a non-stick surface. Several users comment on the even cooking of this Dutch oven. For home or camping. The Westinghouse WFL545 can be used in your oven, on the stovetop, in your barbecue or over a campfire. The pot also makes an attractive serving dish straight from the oven to the table. Safety. The base of this Dutch oven has two large, integrated handles for easy gripping with pot holders or if you’re wearing oven mitts. The lid also has an easy-to-grip handle. Warranty. Westinghouse offers a limited lifetime warranty for their WFL545 model Dutch oven to the original purchaser that the product will be free from defects in material, parts and workmanship for the life of the Dutch oven. Glass or ceramic stoves. The manufacturer states this Dutch oven is not recommended for use on ceramic or glass stovetops. The Cuisinart 6445-22 is a durable, lightweight and affordable Dutch oven. With its hard anodized coating, the surface won’t be affected by acids such as tomatoes and vinegar and it’s non-stick and scratch resistant. This Dutch oven, including the tempered glass lid, is oven-safe up to 500 degrees F. Aluminum is one of the best heat conductors, so heat is distributed quickly and evenly. All this, plus the five-quart capacity, makes the Cuisinart 6445-22 Dutch Oven an excellent, low-cost choice. Tough, hard anodized coating. 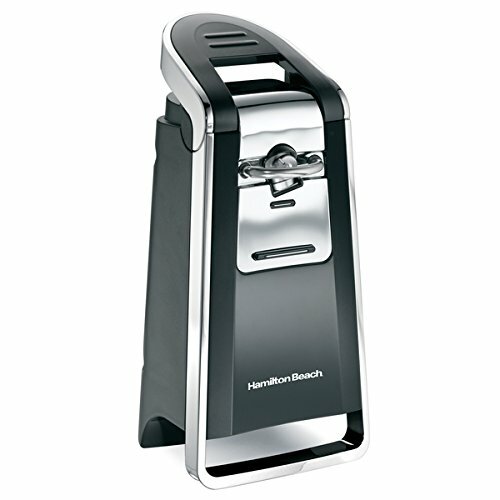 The Cuisinart 6445-22 has a hard anodized coating over the aluminum. Anodizing builds up a tough coating on the aluminum that creates a surface that’s not affected by acids; it also results in a non-stick, scratch resistant and easy to clean Dutch oven. Lightweight. This Cuisinart Dutch oven weighs just 4.7 pounds, which makes it easy for any cook to work with, including seniors and young chefs. Many reviewers that they’re happy this Dutch oven is lightweight, and that it still feels solid. Safety. The large handles on the Cuisinart 6445-22 are made from stainless steel and are ergonomically designed for easy gripping with pot holders or oven mitts. The lid is made from tempered glass and safe to use in the oven up to 500 degrees F.
Handles get hot. A few users said the handles can get hot, so it’s advised that you use pot holders or oven mitts. Enameled cast iron Dutch ovens, like regular cast iron, heat up and cool down slowly, so they maintain an even heat, which works especially well for long cooking times such as braising or stews. They also hold their heat when removed from the heat source. But, unlike regular cast iron, these pots don’t need to be seasoned. Be aware that on less well-made models, the coating can chip. With its 6.5 quart capacity, the Bruntmor Enameled Cast Iron Dutch Oven is a great choice for roasting small chickens, braising meats, cooking beans and stews and baking bread. The lid fits snugly and has ridges inside that self-baste the foods to lock in moisture and flavor. The handles are large enough for easy gripping. 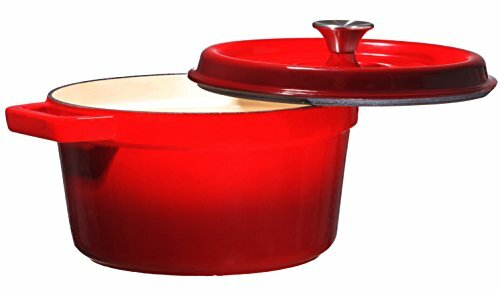 And the red exterior, cream-colored interior and stainless steel knob on the lid make the Bruntmor Enameled Cast Iron Dutch Oven an attractive addition to your kitchen. Large capacity. 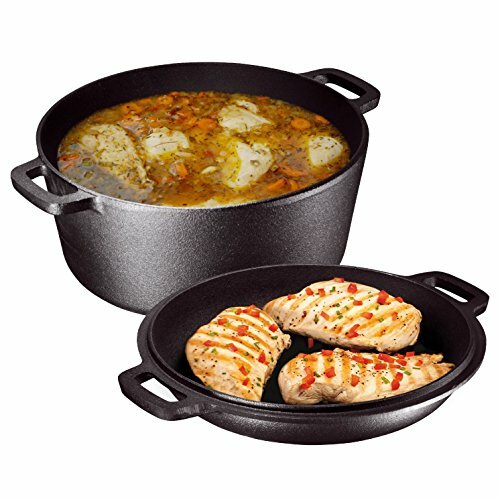 The Bruntmor Enameled Cast Iron Dutch Oven has a 6.5 quart capacity, large enough to roast a small chicken or cook a variety of other foods, such as stews, beans and bread. Secure, self-basting lid. The lid on this Bruntmor Dutch oven fits tightly, ensuring there’s no splattering. And the inside of the lid has self-basting condensation ridges that collect vapors that drip onto foods to lock in moisture and flavor. Several users comment on how well the self-basting ridges work to keep meats moist. Safety. A large stainless steel knob on the lid and large, integrated handles on the base make handling the hot Dutch oven easy and safe. Weight. The Bruntmor Enameled Cast Iron Dutch Oven weighs approximately 16 pounds. Stainless steel Dutch ovens are a good choice if you like lighter weight cookware. 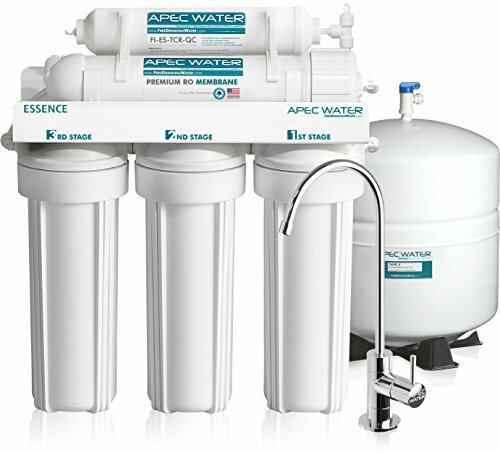 Stainless steel is non-reactive with acids and other foods, durable, dishwasher safe and won’t rust. Stainless steel also maintains heat well for longer cook times. The Calphalon Stainless Steel Dutch Oven is a great choice if you’re looking for a lightweight, durable Dutch oven. With its heavy-gauge aluminum core, the pot heats up quickly and the heat is evenly distributed. Two outer layers of stainless steel are bonded to the aluminum, providing a non-reactive surface that can be used with any utensils, including metal. These features and more make this Calphalon model ReviewLab’s top pick for a stainless steel Dutch oven. Big enough to cook for a crowd. The Calphalon Stainless Steel Dutch Oven has a large eight-quart capacity that holds larger roasts and whole chickens, stews, beans and more for a crowd. Heavy-gauge aluminum core, stainless steel outer. The Calphalon Stainless Steel Dutch Oven is constructed with a heavy-gauge aluminum core, which is an excellent heat conductor and distributes the heat evenly. Two layers of stainless steel are bonded over the aluminum, providing a non-porous, non-reactive surface that’s safe to use with all types of utensils. Several reviewers also comment on how easy it is to clean this Dutch oven. Self-basting lid. The inside of the lid on this Calphalon Dutch oven is domed with points that continuously collect vapors and self-baste the food, locking in moisture and flavor. Safety. 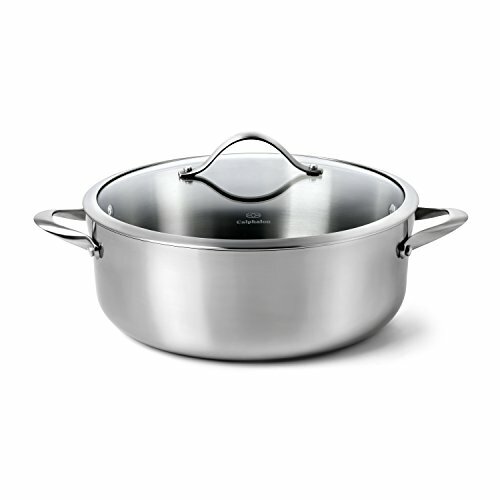 This Calphalon Dutch oven has large handles for easy gripping and safe transport from oven to stovetop to table. The lid is made of tempered glass to prevent breaking when exposed to heat. The lid is oven-safe up to 450 degrees F.
Warranty. Calphalon offers a full lifetime warranty to the original owner for defects in material or workmanship when used under normal conditions and cared for according to the instructions. Not tall. One user concern is that this Dutch oven is not tall enough. But Dutch ovens, compared to stock pots, are typically shorter and wider. Aluminum Dutch ovens are another good lightweight choice. Aluminum is a better conductor of heat than stainless steel; though it heats up quickly, it also loses heat more quickly when removed from the heat source. Most aluminum Dutch ovens are anodized to make the pot more durable and to prevent acids from ruining the cooking surface. With the Cooks Standard Dutch Oven’s hard anodized finish, you don’t have to worry about scratches or cooking acidic foods like tomatoes that can ruin non-anodized aluminum. You also get a Dutch oven that’s non-stick and easy to clean. 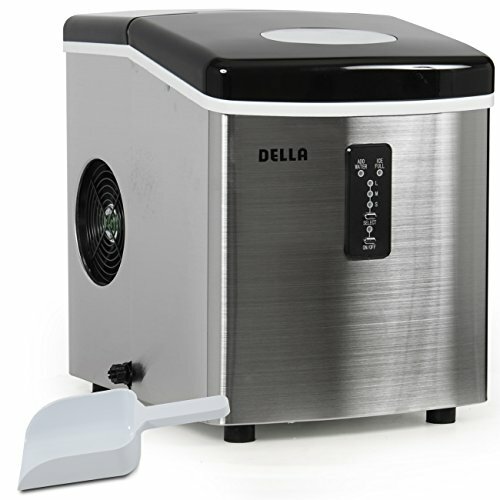 The seven-quart capacity allows you to cook a large variety of foods, including roasts and whole chickens, either in the oven or on the stovetop. All these features and more are why the ReviewLab team is confident you’ll agree that this Cooks Standard model is a great choice for an aluminum Dutch oven. Heavy gauge aluminum; hard anodized coating. The Cook’s Standard 7 Quart Dutch Oven has an inner core of heavy gauge aluminum that heats up quickly and distributes heat evenly, eliminating any hot spots. And the hard anodized finish creates a non-stick and scratch-resistant surface. Also, the surface won’t be affected by acids such as tomatoes, and it’s easy to clean. Several users say they’re happy with the even heat provided by this Dutch oven. Lightweight. This Cooks Standard Dutch oven weighs just 5.6 pounds, making this an easy pot to work with for all cooks, including seniors and kids. Safety. The stainless steel handles on the Cooks Standard Dutch Oven are riveted for strength and are ergonomically designed for easy gripping with pot holders or oven mitts. Not for induction stoves. The manufacturer recommends that you not use this Dutch oven on induction stoves.